There are five Regional Internet Registries (RIRs) in the world. RIRs manage, distribute, and register Internet number resources (IPv4 and IPv6 address space and Autonomous System (AS) Numbers) within their respective regions. Each RIR operates as a not-for-profit, member-based association in its respective region in accordance with the laws of the country in which it is located. RIRs distribute Internet number resources according to the policies developed by their respective regional community using established open, inclusive and bottom-up Policy Development Processes (PDP). Member-elected boards govern each RIR. Boards provide fiduciary oversight, strategic guidance, and verification of the policy development process. RIRs have also implemented mechanisms to avoid capture through election processes, Bylaws, articles of incorporation, and membership provisions. A Joint RIR Stability Fund also exists to ensure that the global RIR system remains robust. Find out more. The Number Resource Organization (NRO) was established in 2003 as a coordinating body for the five Regional Internet Registries (RIRs) to act on matters of global importance to all five RIRs, to participate in global Internet governance activities and to coordinate joint projects across the global RIR system. Find out more. Within their respective regions, RIRs provide services to administer, manage, distribute and register Internet number resources, mainly to their members. The global RIR system ensures that each Internet number resource is uniquely assigned to one party to ensure smooth functioning of the Internet, and that they are distributed based on justified need. 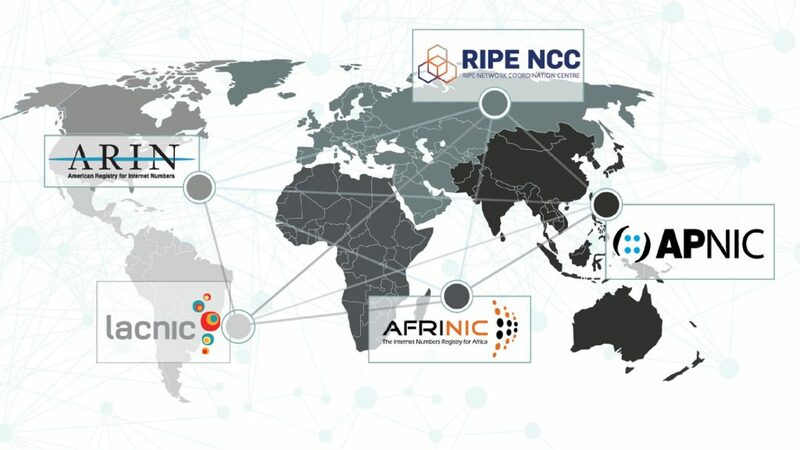 How the RIRs distribute Internet number resources within their regions is defined by the policies that each RIR’s community develops using its own PDP. RIR members are comprised of Internet service providers (ISPs), governments, universities, civil society, end users, for-profit and not-for-profit enterprises of all sizes and across all business sectors. Members pay fees to an RIR based on the type and amount of services they require. Each RIR sets its own membership requirements and fees. RIR communities consist of anyone who is interested in Internet number resources and the policies governing how they are distributed. RIR community participants are not required to be a member of any RIR. Anyone can join the discussion and everyone has an equal voice. Community participants can also take part in other Internet governance activities that are directly related to Internet number resource management, such as the Address Supporting Organization Address Council (ASO AC). Discussions on public mailings lists are an important part of the policy-making process. Each RIR maintains policy discussion mailing lists, which are open to all and are publicly archived. Policy discussions also take place during RIR meetings, which are open for everyone to participate in, both on-site or via remote participation online. Each RIR holds around two meetings a year. In addition to discussions on Internet number resource policy, the meetings also include technical presentations, training courses and workshops. The NRO itself does not hold any meetings. RIR policy development processes (PDP) are designed so anyone who is interested in Internet number resource policy can participate. Anyone can propose a policy or an amendment to a current policy. Once a policy proposal is submitted, anyone can submit comments, or provide support or objection to the proposal. The community then accepts or rejects the proposal by consensus. While each RIR’s PDP is tailored to local requirements, they are all open, transparent and bottom-up. Find out more.